At Tulloch Farm Machines our company slogan is "technology that works"! We all have new technology. But how well does it actually work? 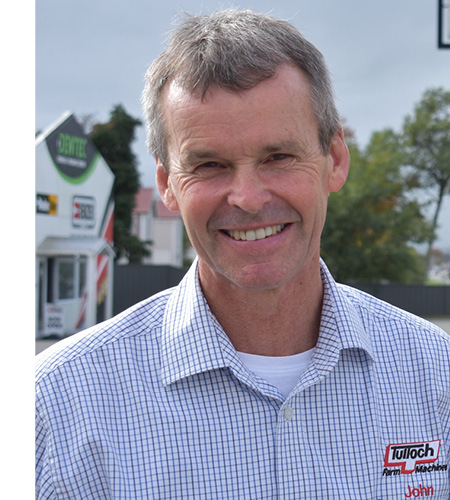 At Tulloch Farm Machines, our focus is on making our technology work better for you, by making sure that it is suited to our (sometimes difficult) New Zealand conditions. The company underlying philosophy is all about giving our customers value for money. How do we do this? Often you'll find that you can buy a less expensive machine by buying a competitor brand. At Tulloch Farm Machines, we have built up a reputation for giving exceptional after sales support, so that over the life of the machine, you'll come out with higher productivity, less down time and a better return on your investment. Any new product is thoroughly tested before going onto the market. Our experience is, that often new products to the market are not 100% well suited to NZ conditions, and need to be modified in some way. At Tulloch Farm Machines we carry out modifications to over 60% of all the machines imported. This can make the difference between success or failure of a new machine in the field. We have placed a high priority on not only training our own staff, but also providing practical service training for our dealer technicians. This ensures that, when you buy a product imported by Tulloch Farm Machines, it will be installed and supported by a qualified person who knows more than just a little about the workings of the machine. Last but not least, we stock a large range of parts to support our products in the field. We have policies in place to cater for emergency parts orders, giving a parts order a red flag alert if a machine is down. We have an excellent after-hours parts service, and our proximity to Wellington allows us to access the most frequent flight schedule to anywhere in New Zealand. To those of you who have dealt with us in the past, we thank you for your business, and look forward to supporting you in the future. For potential new customers, we invite you to come on board and experience our "technology that works"!